This steel-framed villa was intended for one of the directors of the Van Nelle factory. It consists of a tiled basement of services with a studio on the south side, living space on the first floor with a strip of fenestration the entire length of the facade, and bedrooms on the second. Like all Van der Vlugt's villas, it has a roof terrace. 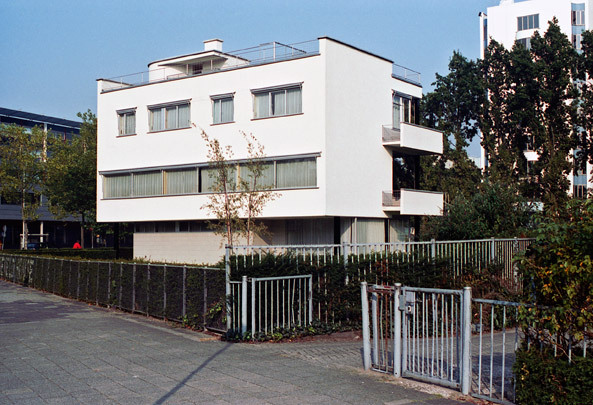 In 1997 the Sonneveld House with its array of innovations for home comfort was bought by the VHM foundation for historic monuments and restored in every detail as a museum house managed by the Netherlands Architecture Institute. Other villa's in the Museumpark are Private House Merkes, Private House Boevé and Private House Kraayeveld.